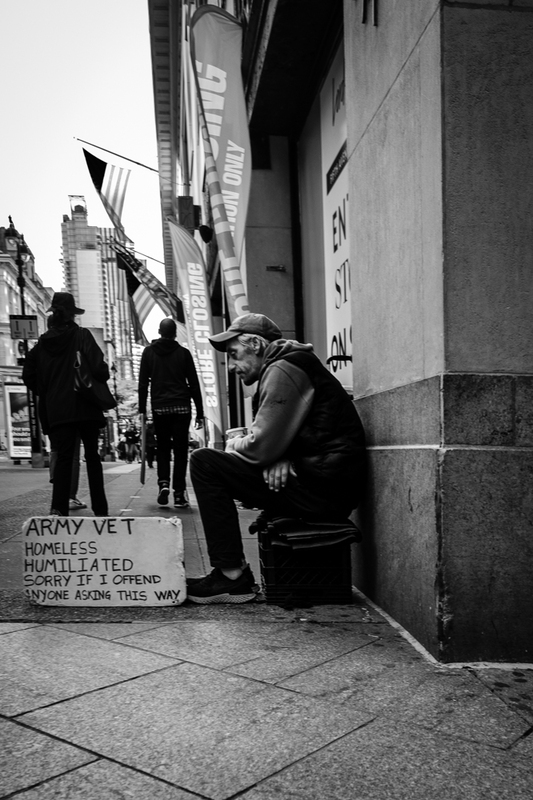 There is something shocking about seeing homeless army vets in US cities. Just to be clear, I’m not judging, I have no idea what the fate of my country’s vets is after they go on operation. But you do see this a lot in the US. So this isn’t the best of photos, but I felt I needed to share it.